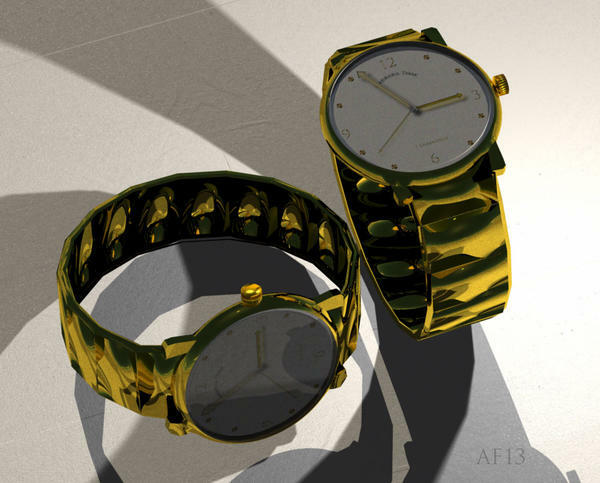 Carrara Community Movie Project - Modeling start for assets. You certainly have challenged the group right out of the box. Smiles. I think also you might have put out parameters as to if this had to modeled in Carrara only etc. I believe that was one of the intention to see how folks could do with modeling tools within Carrara but its your thread--so maybe you might clarify. 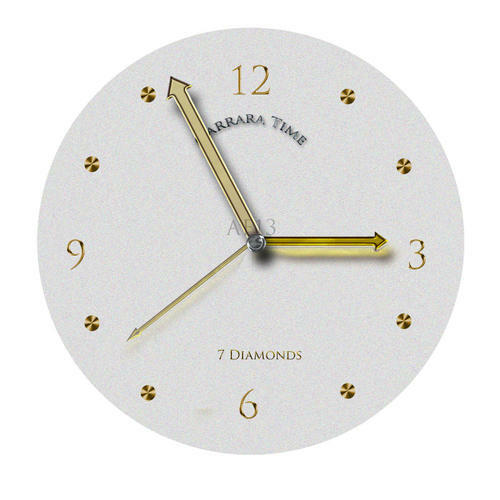 Yes , I think if it goes to long with nothing happening then the momentum goes in that direction so hence my posts. I will edit my post above or add a new one. Thanks for pointing this out and feel free to address anything you want with regards to my posts. Last post from me for a while.. 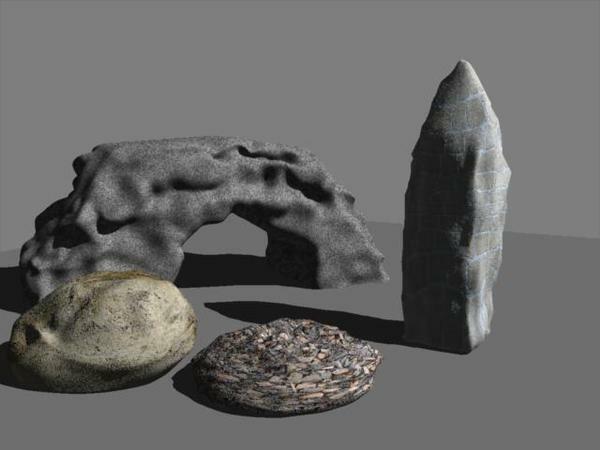 Here is a small list of things you can model in both cartoon and realistic style , pick what you want and take a crack at modeling this in Carrara. - large and small trees. - stones for in the grass and pebbles for the path. - or what ever else you think would fit the scene . Have fun with this . Mike --I think that is an easier tasks for starters ...and also good you mentioned in Carrara. lets have some fun. As you say, let's have some fun! Last post from you for a while. I sure hope not. I suspect you will probably be a better leader for this project than I am. In fact, I'd like to name you now as the Assistant Producer, but I mean assistant in the least diminutive way. You are running this baby more or less. I will gladly take direction from you. Love it. Please keep at it! Sorry, can't help with the selection problems - the whole Carrara VM selection mystery is one of the things that has kept me loyal to Hex - this is my first serious try. Here's some doodling to make a cartoon tree and some random rocks. Hey wonderful surrealist rocks. :) I can see Dali in some of them. Ahh Roy I meant subdivision object, not subdividing! 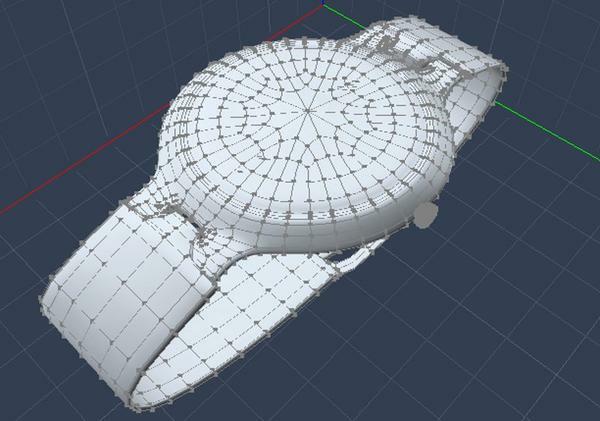 It still keeps the quad poly's but smooths the mesh more than the Model>Smooth Edges command. Great stuff on the models and I hope the VM in Carrara doesn't hurt your brains too much:P Can you guys try uploading the models to the Box site to the "Modeling Assets" folder so we don't loose track of them. If you have issues let me know .. I am pretty sure Roygee (Roy) is a collaborator there . In carrara I do use the "Subdivide" command sometimes , mostly for subdividing a polylines that are separate or part of a mesh. 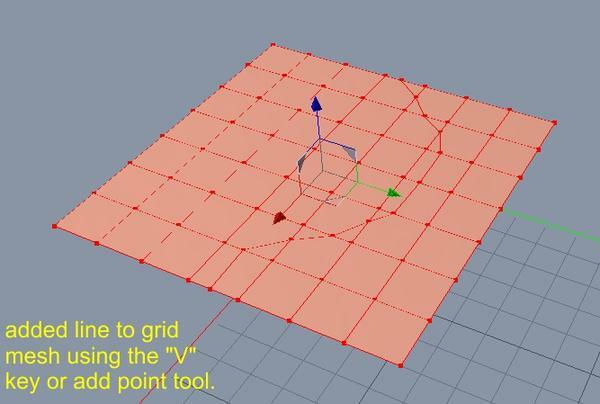 ( It places the vertices evenly and quickly). 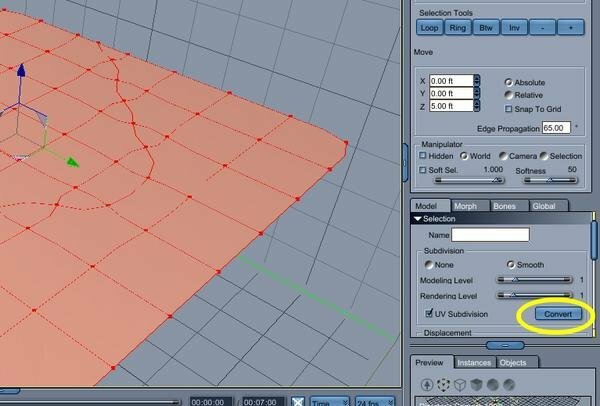 Another you could possibly help with - how to cut a straight line all the way across a mesh - in Hex I ring-select and connect. How do you want the files uploaded - .obj or .car? Well, since we are all using Carrara I think the .car format would be best . For cutting a line it is not as nice because you can't place the loop at the 1/2 point but you select the Loop edges and then use the Extract Along command to drag/create the new cut loop. thanks for sharing that Mike! 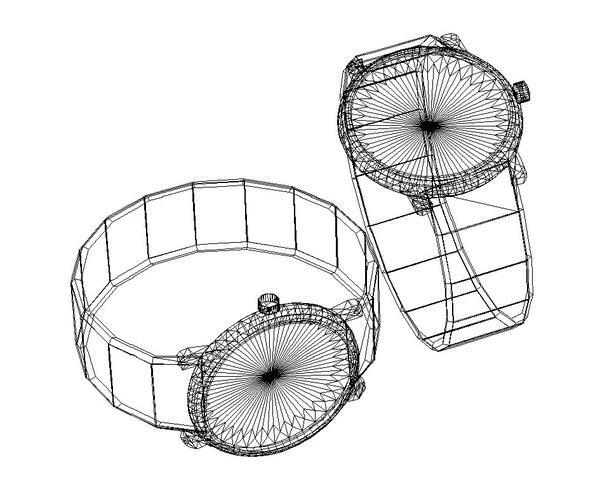 Neat technique - now when you say "convert" back to a mesh, what exactly do you mean ? .....snip For cutting a line it is not as nice because you can't place the loop at the 1/2 point but you select the Loop edges and then use the Extract Along command to drag/create the new cut loop. ah we were spoilt by anim8or which has a simple knife tool . You cut along as many polys as you like and you have verticies joined by edges wherever you cut. So you can cut straight through a mesh and get a new edge loop wherever. Wanted a knife tool in Carrara for years - it's the main problem I find with the modelling room. Hey Guys, looking nice and great helpful hints. Actually posting this kind of useful tips in a huge help for many. I might add Mike --for saving models to the box. I think it would be good idea to use like username.modelname.versionnumber.car as it might be easier down the road figuring out who did what if you need revisions etc. Also just an aside with tools for groups working with lots of assets I thought maybe we could use Libreoffice's powerpoint like module Impress to catelogue the assets. 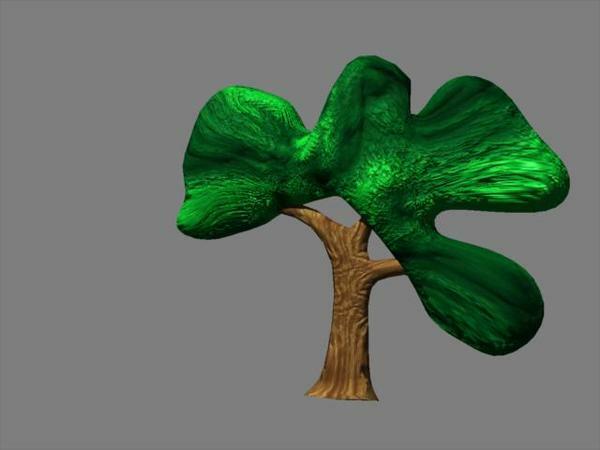 We could take a quick render of the model and attach it to a page. Then organize the presentation by asset types and a director could "page" through a catalog of sorts. Libre Office is open source and free --it will work with powerpoint files if folks have that but really everyone could you LibreOffice. In the same vein I was thinking that the storyboards can be crafted there as well for a movie project without getting anything fancy. In fact I could see actually describing shot by shot like a storyboard on one side of slide with story and dialogue on other facing side. 2 boxes on a page. I used one of the standard storyboarding pages we used in film. 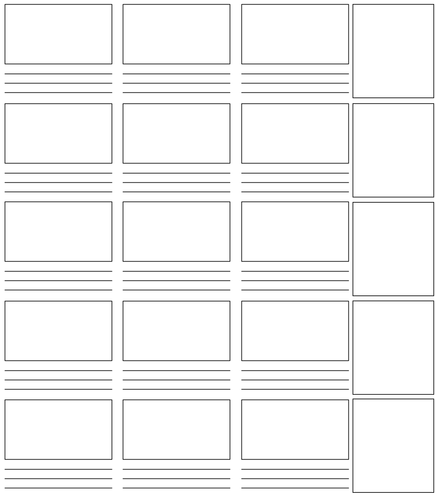 I just used the top 2 lines, but the page has many more rows for storyboarding. It might be more convenient for detailed animation boards when there is little dialog. But ultimately any format is good as long as it has the shot window and notes space. Just throwing in ideas. If the one I used is likes, I could share the file with everyone to be used as a ready template. So let me know. 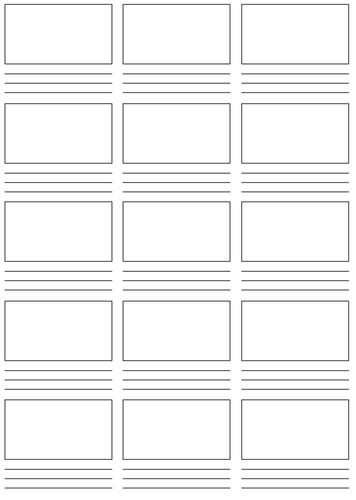 The blank storyboard idea is great since I created the one I did from scratch and didn't think of a description area for each frame of the storyboard. Could you upload it to the BOX site , i have a folder specifically for storyboard stuff there. Here is the link to the Box site were you can upload the file. The following is an example why I like doing these things, you tend to learn things .. Regarding creating loops in Carrara at the exact midpoint and the fact that you can't do it has always bugged me but I found a little trick. 1. 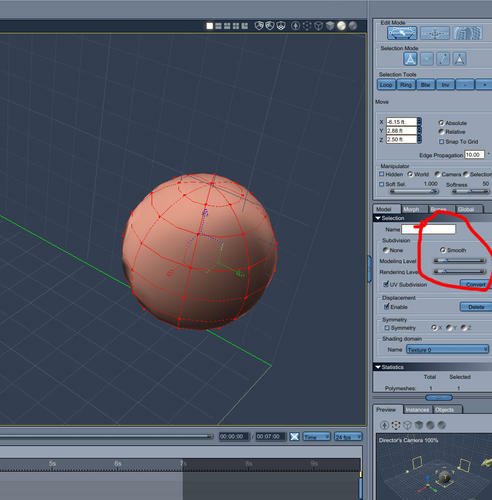 Insert a sphere in the VM room with the poles in the Z axis. 4. 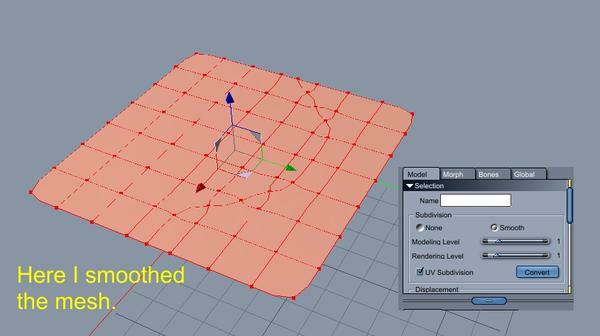 You should now have a new vertex at the midpoint of each Edge. 5. Double click one of the horizontal edges above the our Ring selection. 6. With the complete horizontal loop of edges selected hit the Extract Along command. 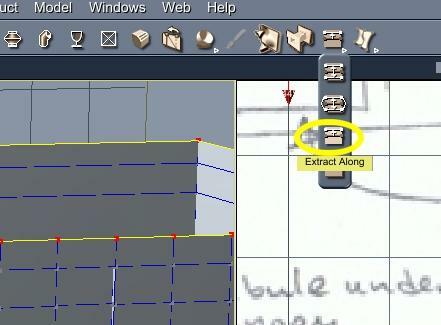 7 Extract the new edges down until you hit the lone vertices at the midpoint of our edges. Also , I tend to use the V key or add point tool as a psuedo knife tool. I don't see the folder on the box. Maybe the link didn't work? Or maybe you need to invite me a collaborator first? One is for storyboarding only, but it fits nicely into the standard paper size for printing, the other has an extra column for references, but is less printing convenient. Enjoy! :) And I'd really love to hear some opinions about styles .in the other thread. When the link opens you should see the Main Folder named Carrara8CommunityTestMovie, you have to double click this folder to open up the subfolders where the StoryBoard folder is. I add the 2 blank forms there. I will look at you styles post shorly .. Unfortunately, all I see is an empty folder which is the same as my "All folders" view. No Main folder, nothing. I am using Firefox. Could that be the problem? I have firefox and will try it and see if I can see the folders, I changed some settings and added firefox to the browsers list. You can see if this works now , I had to change a few More settings . Hopefully people can upload files now too. Thank you, that helped! Now I can see the folders and download what's inside. But I still cannot upload anything there. Don't even see the menu for it. Please feel free to add my sketches to the concept sketches folder. 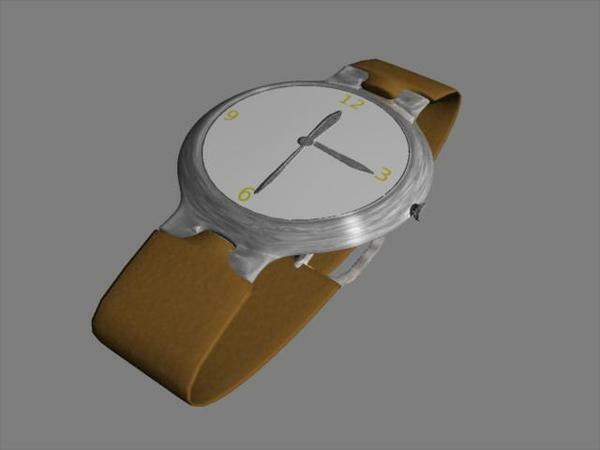 I've uploaded the wristwatch - the others were just doodles - I'll try for something better once the context is decided on. thanks for explaining that Mike. 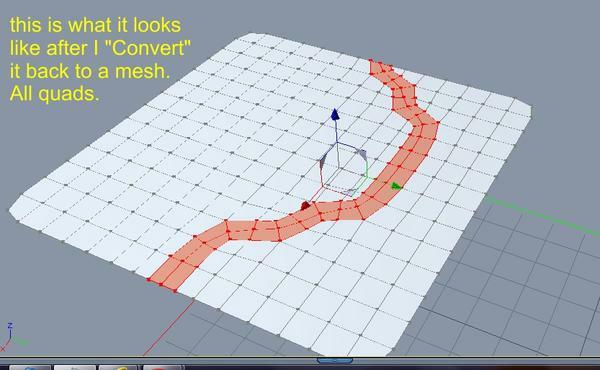 I cannot seem to find the CONVERT back to mesh command - not sure what you mean. I can howevere achive the same effect with Model>Tessalate>MidEDge to Centre. The Convert button is in the Properties panel see the attached image. I think I need to add you as a collaborator and for that I need your email address although I have 2 other people as collaborators which I didn't add.. Roygee somehow did it ..... Roygee,could you tell us how you signed up as a collaborator. So, you can PM here with your email address or try joining on your own..